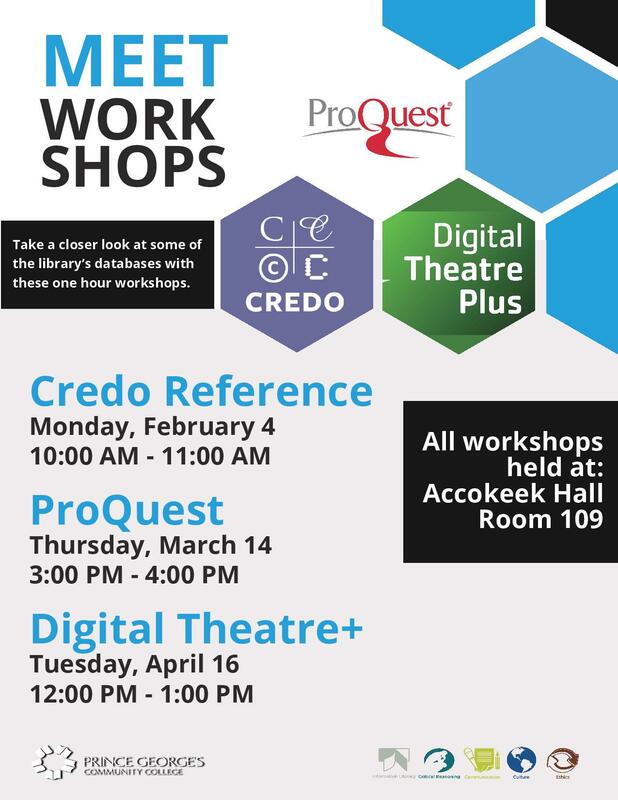 Learn more about what the library has to offer with our new workshop series; Meet explores library research databases and film collections in-depth. Credo Reference- Provides access to a selection of reference books, including encyclopedias and dictionaries. It also includes cross-references to other resources provided by the Library such as Ebrary, the catalog, and research databases. ProQuest- Considered the largest aggregated full-text database in the market today. The central resource for researchers at all levels with journals, magazines, newspapers, and a RSS feed covering over 160 academic disciplines. Digital Theatre Plus- By revealing the world of the rehearsal room, dressing room, backstage and beyond, our documentaries and interviews introduce theatre as a vibrant, exciting art form through a familiar and accessible medium. Browse the works of Shakespeare, Sondheim, Wilde, Wilson, and other playwrights.